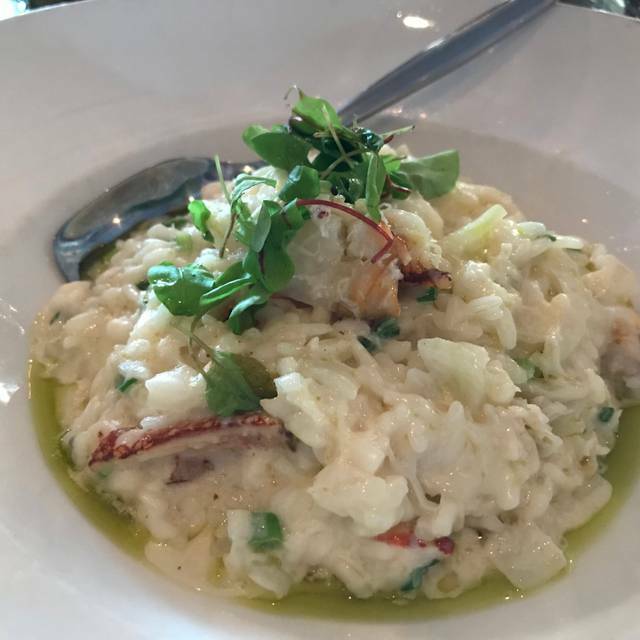 You must make reservations at least 5 minutes in advance of the time at Pescatore. Valet parking available at the hotel lobby and a parking garage located across street at Northpoint Shopping Center. Plenty of street parking free after 7pm. The 8x and 47 bus lines, as well as the Hyde/Powell & Taylor/Powell Cable Cars. The F Line Muni Train. Chef Raffa would love to cater your special event, so let us help you create the perfect menu for your fun day! Please contact Debbie Jimenez at debbie.jimenez@tuscaninn.com or call her at 415-292-4545. 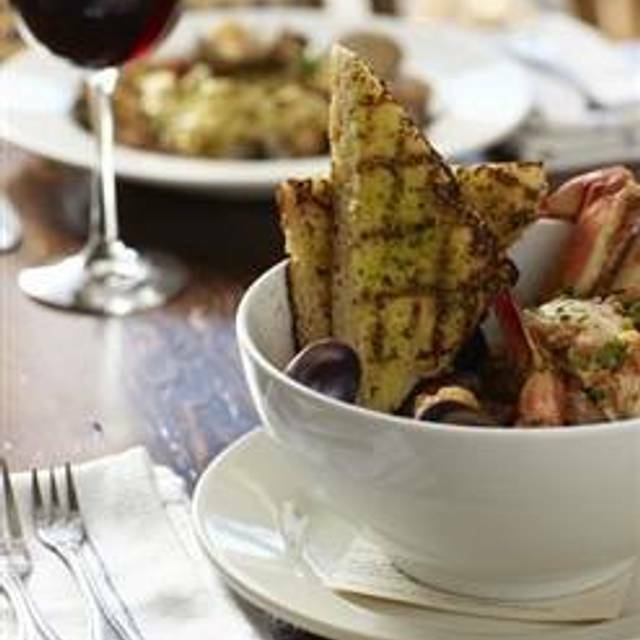 Pescatore is the perfect neighborhood sidewalk cafe serving Italian specialties and wood oven pizzas with an emphasis on fresh seafood. Food was good and fairly priced for the area of town. The service was extremely poor. It took us 20 mins to get in a drink order, and over the course of an hour and a half had to track down a server (any server in the restaurant) to help us multiple times. Absolutely great service and food! I would highly recommend! Been consistently excellent every time we come . Food cooked fresh and comes to the table hot! Having dined at places like A16 this week, this restaurant was pure disappointment. You would be better off going to chipotle or another $10 per person restaurant versus spending more at a place like this. 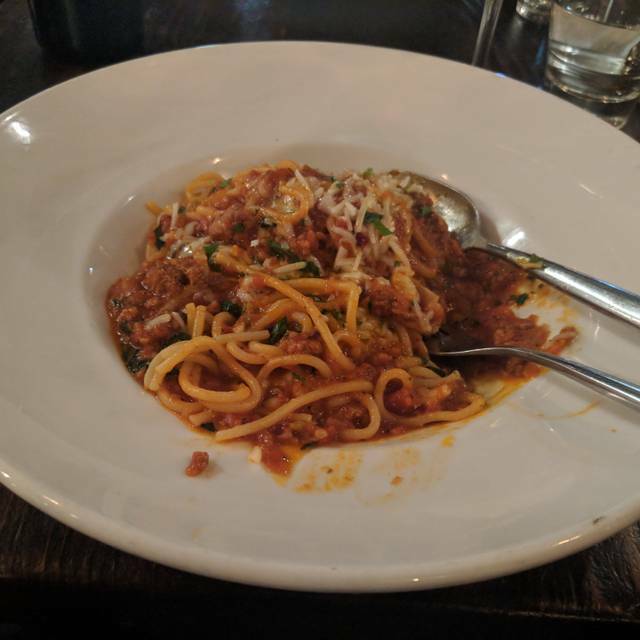 The pasta is not homemade and you can get such better food and service elsewhere in the city. Good food, salad is the way I like it: right portion, dressing the perfect creamy level and taste just right with the fresh green. Same with the pasta: taste perfect and the sauce fit great with pasta, no more and no less. The chef is great. Definitely will visit again if I’m in the neighborhood. Can’t wait. Celebrated our daughter's 40th birthday, and menu met all eight of our palates! Great food and awesome location inside the Hotel Zoe!! Our recent visit was a bit disappointing as remodeling work had made the pizza oven unavailable, so our kids had to quickly reconsider their dinner choices. The staff was apologetic and very accommodating to ensure everyone got entrees they liked. Our dinner focused on seafood and pasta dishes, which were well-prepared and very good overall, but not unique in the Fisherman's Wharf area of San Francisco. However, our most memorable experience was with Pescatore's desserts, which were surprisingly good. The mixed berries with zabaglione, the tiramisu, the pear bread pudding, and the unusual (but delicious) cinnamon gelato were big hits. Best meal we had while on vacation. The risotto and berries with zabaglione were dream worthy. Very causal, but food is absolutely top notch. A quiet lunch on New Year’s Day. We are gluten-free, dairy free. The waiter and kitchen were accommodating and helpful. Definitely where are you here again when we are in the neighborhood. Italian and Mediterranean. We learned that heated olives are far far better! I was in town for the weekend for a football game with my family. We didn’t pack any dress clothes, so looked for a casual atmosphere. The host greeted us promptly, showed us to our table. Our server was very knowledgeable and friendly. The food was very good. The major downfall was that we were seated near a door that went to the attached hotel. The door was broken and would not close with each set of passers through. The result was a very drafty and cold experience. The staff told me that they were working on fixing the door, but no work was done while we were there and one of the other waitstaff was defensive when my family and I continually got up to close the door. I would recollect the restaurant, as the food was very good. Just beware of sitting in the back near the door. It made for an unpleasant event. Expensive bland food. Uninspiring menu. Was hoping to be wowed but instead was very disappointed. All combined this was a very nice dinner. The food was great as was the service. Not a fancy place, but a nice easy more casual change from our other San Fransisco dining experiences. We will go there again. Came for Thanksgiving dinner fixed menu. Wildly overpriced at $45, no bread included. Odd pairing of mac ´n’ cheese with a turkey dinner and spinach salad. Food was well-prepared, cocktail was excellent. Service spotty. Meals arrived at the same tone as our pre-dinner cocktails. Food was barely warm, obviously prepared ahead of time. first of all, it was VERY LOUD (need to put in noise dampening ceiling tiles and/or other noise deadening furniture, etc. Server was hilarious, fun, made a great wine decision, prepared something to fit a health need, sea bass was great. Our go-to for company get togethers! Thank you Pescatore and Noblehouse Hotels - the service was great, staff was extremely personable and will definitely be recommending you to others! Appreciate everyone's efforts to ensure that our group was taken care of! Had a birthday celebration for my daughter and her friends. We sat outside on one of the rare warm nights in SF. Whole dining experience was great! The staff just made you feel welcomed from the start and continued throughout the meal with great service. Food was delicious! I plan to return and recommend to my family, friends, and co-workers. I liked the restaurant ambiance very much but my dinner was not good. I’m Italian and pappardelle was under cooked and rather flavorless. I was very dissolved since it was the waiters 1st. choice of favorites but my husband absolutely loved his linguine with clams and I agree. I made the wrong choice. Took family here for a quick dinner before getting back on a cruise ship. Food and service were good. The place was loud and seating not super comfortable. Restrooms were in an attached hotel and inconvenient. Food was excellent, so as the service. a bit pricey but ok. This restaurant was a wonderful fine as we searched for a location nearby our hotel in San Francisco. It is a lovely place within Hotel Zoe. My husband even commented about how his drink was excellent. I had the crab cakes from the appetizer section with a side which I thoroughly enjoyed. The ambiance is perfect for any occasion. The wait staff is excellent. Enjoy!!!! The service was really lacking. We sat in the bar so maybe that was the problem but I never like having to ask for more to drink and my check. The pasta dishes were also just ok. The seafood pasta the fish was over cooked. The pasta itself was good but both sauces didn’t have much flavor. The service was incredible. The Wine List is great. We thoroughly enjoyed the beet salad, pizza and gelato. We stumbled upon this restaurant as we were looking for somewhere to eat breakfast. It was a great find, great food at a good price, in a nice atmosphere. We really enjoyed it! Great food and service. Everything was very yummy. The place was packed. Easy to find. We certainly recommend. Well run as well. Our waiter Marlowe was excellent. Great pasta and desert recommendations. This is a wonderful restaurant. The staff was outstanding. The food was excellent. The service was great, the food took a little longer to come out than I would prefer, but the waiter (Marlow) kept our drinks full and served us bread with oil to tide us over. We will eat there again soon. Wood fired pizza was superb, other dishes great. The waiter, Marlo, was the most friendly, accommodating (food allergies, special dishes) and efficient we've seen out of possibly 40ish restaurant meals in the past month across a half dozen cities. Two adults, 3 kids and a couple of drinks $140 pre-tip for a lunch, back for dinner and $185. Food comes quickly, no pressure to leave. Desserts fabulous. Delivers what it promises. Nourriture décevante, service très « léger ». Pas de patron dans la salle et cela se voit. Dommage.